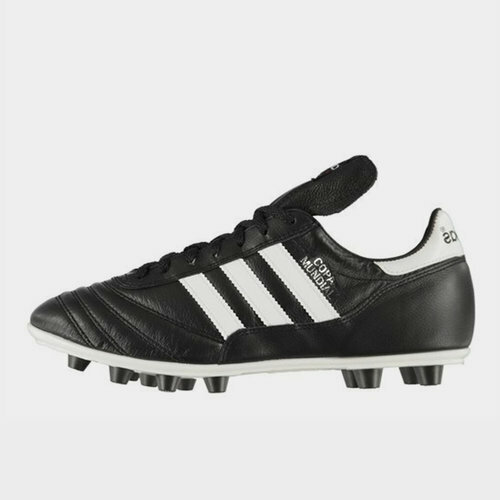 The adidas Copa Mundial boots are the world’s best-selling boots ever and it's hard to disagree from the moment you slip on a pair. On first touch, users will immediately feel the soft quality leather used in abundance on the Copa Mundial. A timeless black and white design only goes to further enhance the boot with the Copa Mundial featuring the adidas trademark three stripes down each side of the boot. Everything about this rugby boot strikes of being a true classic, from the centre lacing system to the folded tongue. A dual density moulded PU outsole adds durability and grip to the boot, perfect as a firm ground option and for users seeking a professional level rugby boot.